Maquia and Ashley Kincaid share more than just a last name and a love of running. The cousins have been intimately connected ever since Maquia donated a kidney to Ashley in 2014. After being diagnosed with lupus (a chronic autoimmune disease) and going into kidney failure during her freshman year at Cornell University, Ashley, now 34, received her first transplant in 2004. When that kidney began to fail nine years later, she put a plea out on Facebook—she needed a new kidney. In Arlington, Va., about 1,000 miles away, Maquia, also 34, read the post. She and her cousin had drifted apart some with distance and time, but they had wonderful memories of spending summers together in North Carolina. 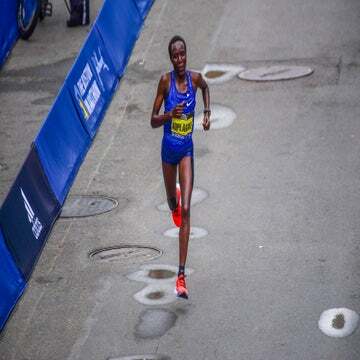 As an accomplished runner and a full-time nanny, Maquia knew that the surgery would sideline her from races for a while and force her to take time off. But she still felt a pull to be tested to see if she’d be a match for Ashley. She was. With the successful transplant behind them, the pair now plan race-cations together. 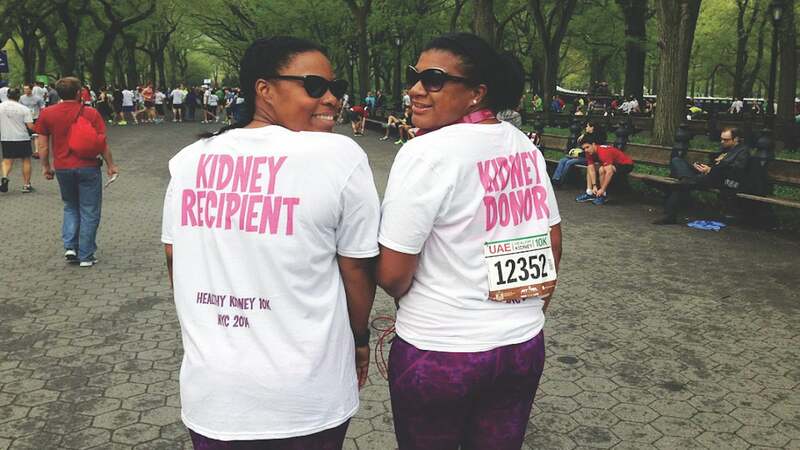 One year after the surgery, they met up in New York for the Healthy Kidney 10K in Central Park, where Maquia paced Ashley to a PR. 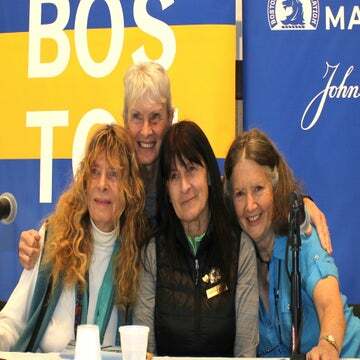 This November, they’ll return to the Big Apple to run the New York City Marathon as a celebration of their health—and their friendship. 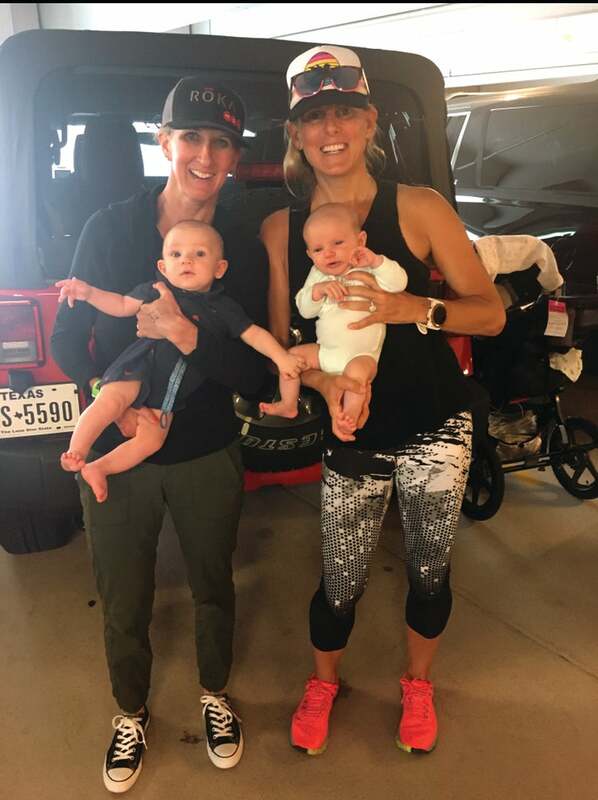 Last April, pro triathlete Meredith Kessler was on the marathon leg of Ironman Texas, her first race back after having a baby five months before. Having swum, biked and run into a top-10 spot, Kessler, of Westerville, Ohio, seemed to be having an epic day. But internally, she was consumed by stress over her son, Mak, who was somewhere along the course with her husband, Aaron. After all, Kessler was still nursing, and Mak wouldn’t take a bottle. Stopping to feed him along the course would have likely taken Kessler out of the prize money, crucial for an athlete who competes for a living. Yes, best friends will do just about anything for each other. But to nurse your friend’s baby while she’s racing an Ironman? That’s next-level friendship. But for Biscay, it was a no-brainer. Kessler, who said her mind was “instantly calmed” after Biscay shared that she’d breastfed Mak, finished the race in sixth place. When she crossed the line, she was greeted by her husband, her best friend and a very content baby. “She believes I can qualify for the Boston Marathon when no one else will—and even offered to train with me just a couple of months after having a baby.” —Courtney Waltimeyer, Washington, D.C.
“When my husband couldn’t come to my first Ironman at the last minute, she drove 10 hours to the race site with me, did the necessary shopping, took me out to review the course and cheered for me all day. Heck, she even hung out by the bathroom while I showered afterward to make sure I was okay.” —Kat Kulkoski, Key Largo, Fla.